Why are my emails bouncing back when sending to google accounts? 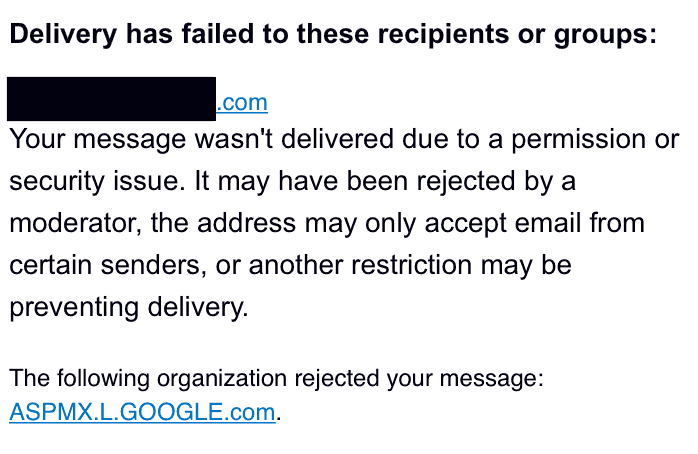 Google recently changed their security settings to block emails without an SPF record and/or DKIM & DMARC. If you have not set these up, any emails sent will now be marked as spam and rejected. How do I prevent emails from bouncing back? Your email server will need to be setup with an SPF record at a minimum. Along with the SPF record, DKIM and DMARC are now recommended practice to stop anyone from abusing your email accounts. Sender Policy Framework (SPF) is an email authentication method designed to detect forged sender addresses in emails, a technique often used in phishing and email spam. SPF allows the receiver to check that an email claiming to come from a specific domain comes from an IP address authorized by that domain’s administrators. DKIM stands for Domain Keys Identified Email. It provides a way to validate that an organization delivering an email has the right to do so. DKIM requires the addition of public keys into your DNS zone. The key is often provided to you by the organization that is sending your email. The key will either be inserted directly into your zone as a TXT record, or it will be a CNAME pointing to the key in your provider’s DNS. 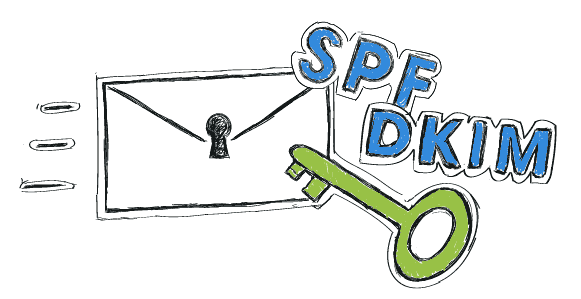 Before you add a DMARC, make sure you have SPF and DKIM setup. Domain-based Message Authentication or DMARC is designed to give receivers of email better judgment control based on sending domain reputations. It provides a platform where the sending side can publish policies to improve effectiveness against spam and phishing, in effect building domain reputations. This helps to provide guidelines on how to address messages that do not align according to those policies published by the sending domains. Setting up your email is easy when you have the right IT Service by your side. If you need a reliable partner to help you resolve email issues and provide expert support, reach out to us.